Stephen, licensed massage therapist, works with each patient to set a focused goal for each session, then allows his intuition to guide him in choosing which of his many techniques will be best to achieve the goal. Each of Stephen’s sessions are intuitively designed to balance body, mind, and spirit by the use of bodywork, healing sounds, and aromatherapy. “Modalities area simply different approaches to healing,” he says. He mainly relies on T’ai Chi Chih, Brazilian Toe massage, and Deep Tissue/Myofascial Release to bring relief to his patients. During the session, symptoms are addressed, but Stephen also seeks out the source of the ailment, whether it be physical, mental, or spiritual. By working with the root of the problem, session results are longer-lasting and bring the person back into a greater state of balance. His therapeutic full body massages include both deep tissue and myofascial release, to mobilize soft tissue and ease pain. Stephen sees tension patterns as misspent energy, which can be moved or used for good and healing. Aromatherapy essential oils are also used intuitively, as needed. Engaging the olifactory system gives direct access to emotional system of the body, and can assist in releasing old patterns or bring closure for unresolved emotional trauma. Stephen also offers the very unique Brazilian Toe Massage session, a session focused mostly on the feet. This is a 90+ minute session including aromatherapy, foot massage, meridian energy work, energy-based reflex massage, gua sha with minerals and crystals, sound therapy, and Reiki and healing energies. We have never seen a person leave one of these sessions without a slightly euphoric, amazed look on their face! This session, with the balance it brings, brings about a deep sense of relaxation and grounding. 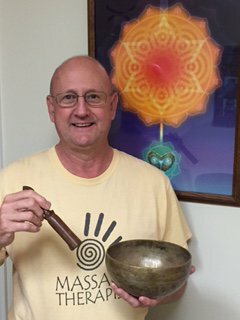 Stephen’s sessions all include use of Reiki energy from the Usui and Kundalini traditions. This practice of directing energy through the palms of the hands to transfer universal energy (Qi) allows for a greater state of equilibrium to be achieved in each session. Stephen offers new clients a fabulous deal of “Get one- Buy one” special: when a patient first comes to experience the Brazilian Toe Massage and then books and pays for a 90 minute full body massage, then Brazilian Toe Massage is complimentary. Stephen smiles that his practice is about the “renewal of old medicine”, where getting back to natural healing is the “new medicine.” We dearly love having Stephen as part of our team at Appalachian Acupuncture, and enjoy both his wonderful treatments and seeing our community realize what a gifted healer has come our way! Stephen can be reached for questions or scheduling a session at: (314) 605-7742.